Mother nature inspired nurseries with feathered friends and enchanted forests to friendly farm animals. From her Northern California studio, artist and illustrator Marisa Redonda crafts watercolor and gouache paintings inspired by a galaxy's worth of visual elements - from macrocosmic and celestial patterns to oft-unnoticed organic details. Cotton The fun fox embroidery and bold hues of this Oliver decorative pillow from Ink+Ivy provide the perfect whimsical touch for accenting your child's bed. Handcrafted chair with swivel base. 30"W x 37"D x 33"T. Hardwood frame. Polyester upholstery. Fitted with soft-closing drawer runners, the linen-faced drawer fronts have silvered pulls with a drip relief pattern. The grey oak case is raised on an oak stool. This handsome fox is hand knitted and embroidered in Peru from 100% super soft local cotton. From his dashing ensemble, to his tie, to the tip of his foxy tail, this dapper guy makes the perfect companion for days of play! This sassy little fox is hand knitted and embroidered in Peru from 100% super soft local cotton. From her ruffled collar, to her striped skirt, to the tip of her fluffy tail-her smile and rosy pink cheeks will bring cheer to your little one’s playtime! Quilted cotton bumper with accent color trim to mix and match with your favorite Oilo Studio bedding collection. Tie closure (no zipper). Machine wash. Designed for high couture and maximum comfort, Oilo's fitted crib sheets are as soft as they are stylish. All sheets are fully machine washable and designed to the highest standards of quality everything you've come to expect from Oilo. Two-piece set by Oilo Studio includes cuddle blanket and star-shaped pillow. Soft cotton jersey and plush. After contributing two years of research toward a Masters in Physiology, Ayla Graham returned home to Calgary, Canada to find a job in her field. However, her career trajectory took an unexpected turn when a skill she learned from her grandmother - creating art using pressed flowers - became her true passion. Putting a modern twist on this traditional technique, Graham's prints represent her connection to her hometown, family, and nature. Oilo's jersey changing pad covers allow you to easily remove the cover for washing, and the stretch of the jersey allows these covers fit on a wider size range of changing pads. Featuring soft,100% cotton jersey in Oilo's original prints to match or coordinate with our bedding collections. Covers are 16 inches wide and measure 32 inches in length, with extra 1 to 2 inches of stretch. Fun, character designs liven up bath time or pool time. Also, perfect cover after a day at the beach or by the pool. The all-over terry makes the towel soft and absorbent. Comfortable and one size fits most. A soft, easy update. This decorative pillow in soft chenille with chainstitch embroidery and tassels adds instant elegance to any room. Add fun to your child's bedroom decor with the Luxury Plush Tummy Time Mat Blanket Brown Fox from Cuddle Me, featuring a cute brown pup that is soft to the touch, making it the perfect addition for animal lovers. his noble and mighty moose is a striking addition to any playroom or bedroom! Standing nearly three-and-a-half feet tall, with soft, palmate antlers that measure 18" across, this impressive figure is soft to the touch. Melissa & Doug handcrafted plush moose with realistic features. A stunning silhouette with a flair for the dramatic, this lovely chair features a swivel base for ease of use, graceful sloped arms with a slight flair. Covered in a velvety leather or a luxurious feel, it's highlighted with antiqued nail head with a touch of black for added dimension. This handsome, cuddly little deer is hand knitted and embroidered in Peru from 100% super soft local cotton. From his tiny antlers, to his jaunty scarf, to his sweet little spots-his wide-open eyes make him an irresistible forest friend. Handcrafted chair. Hardwood frame. Hand-tufted polyester/cotton upholstery. Rebecca Rebouche, a native Louisianan living and working in New Orleans, creates nostalgic, emotive and whimsical art out of paint, mixed media and stitched soft sculpture; a practice best described as contemporary folk art. Here, she crafted an allegoric family tree out of the visual bits and symbolic remnants that compose one's dreams and daytime reveries. This lovely, cuddly little deer is hand knitted and embroidered in Peru from 100% super soft local cotton. From her tiny antlers, to her flower necklace to her petal skirt-her wide eyes and pretty eyelashes will surely charm your little ones. Cotton; poly fill Cotton Add fun to your child's bedroom decor with the Luxury Plush Brown Fox from Cuddle Me, featuring a cute brown pup that is soft to the touch, making it the perfect addition for animal lovers. The huggable 3D fox design of this plush Velboa decorative pillow from Little Love by NoJo lend smile-inducing nature-inspired style to your child's room. The fun woodland creatures and soaring arrow prints of this crib bedding set from Little Love by NoJo lend smile-inducing nature-inspired style to your child's room. The fun fox applique and soaring arrow prints of this plush blanket from Little Love by NoJo lend smile-inducing nature-inspired style to your child's room. Mother Nature provides perfect color choices for girls, boys or gender neutral nurseries. Five-piece crib bedding set includes: one quilt (36" x 45"), one fitted sheet (28" x 52"), one dust skirt (16" drop), and one diaper stacker (16" x 10.5" x 8"). Includes owl wall decals. Brighten up your bedroom with the playful design and comfort of the Urban Dreams Verona Bedding Collection. Blending a modern sensibility with playful sophistication, artist Rob Blackard mixes bold graphics, delicate line work, paint, and digital renderings to create his timeless work. Splitting time between New York and California, his art reflects the push and pull of East and West Coast ideals with charming ease. Each style in the Animal Towel series features one animal, presented in alternating opposite colors on both the front and back of the towel. 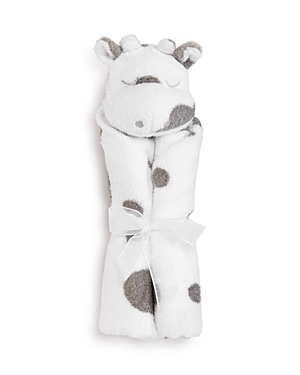 Exquisitely textured and playfully designed, the Animal Towel is perfect for little ones and budding zoologists. Give any space a fun look and feminine appeal with the adorable owl appliqués and pretty pink tones of this Wise Wendy valance from Mi Zone Pizzoli's Good Night Owl is a modern twist on the classic tale of not wanting to go to bed. Teaching the importance of learning to accept things beyond one's control, the Owl Soft Toy stays true to Pizzoli's colorful illustrations with beautiful pastel blue plush, yellow beak and a fluffy pink robe. With Noise by his side, these Pizzoli characters are a heartwarming example that friendship comes in all shapes and sizes. These two character toys stay together nicely with a grip-strap tab. Tadpoles set of 3 pre-washed receiving blankets will keep your baby warm without the danger of over-heating. Super soft and breathable, pre-washed cotton muslin fabric is ideal for sensitive skin, making it the perfect choice for babies. Tadpoles set of 3 pre-washed receiving blankets can also double as a stroller or carseat cover. Boogie Baby "It's A Hoot" microfiber blanket. If desired, personalize with embroidery (up to 11 letters) in style shown. Owl appliqué on front. Ruffle edge. Approx. 40"H x 34"L. Cotton; machine washable. Made in USA Chaise has hardwood frame and rayon/polyester upholstery. Feather/down wrapped seat core. The four piece perfect fit bumper features a clever little fox with embroidered details on one side and a cute wise owl on the opposite long side. A trendy gray stripe on one side is complemented by a gray and white triangle print on the other side. This collections has a furry, embroidered elephant, fox and owl- all nestled on a patchwork of tactile fabrications with arrows, dotted chevrons, stripes, and triangles. The set includes a quilt, fitted cotton sheet and snuggle sleeper. A clever little appliquéd fox with an embroidered face and tail decorates this soft gray stripe minky blanket. The reverse side is a furry Sherpa in a pretty shade of slate blue and wraps around to the front making a border. This bedding set combines rich woven textures, French terry, suede's, twills and appliquéd owls. The crib sheet has sweet owls and tossed feathers. The crib skirt features our sleepy gray owl, the set also includes a sculpted owl diaper stacker. The Family Tree blanket is a cuddly blanket that is sure to delight your little one. It is made of a luxury coral fleece with soft pink polka dots throughout and two of our favorite owls playing a fun game of piggyback. This four piece crib bumper features a lovely patchwork in pink, peach, gray, and gold and is highlighted by adorable owls perched on their favorite branch. Fabrics are a combination of rich woven textures and appliqués in French terry, suede, and twills. This woodland collection features charming animals including a mischievous fox, an adorable raccoon, a friendly deer, a wise owl and a sweet bunny all appliquéd in the forest. The set includes a quilt, sheet, crib skirt and diaper stacker. This four piece perfect fit crib bumper features suki, the friendly furry raccoon appliquéd on one long side and the clever fox on the opposite side. A trendy gray floral and pink leaf print decorate the rest of the bumper. This super luxurious minky blanket has a soft and cozy Sherpa back and border. There are multiple rows of adorable woodland animals holding hands some facing forward while others are facing backwards. Tadpoles 3D jacquard blanket is an ultra-soft, plush micro-fleece blanket that will instantly become a favorite of your little one. The textured design is knit into the pattern and brushed on both sides, featuring a softness that you have to touch to believe. Perfect for strollers, cribs and naps on-the-go. Machine washable. Handcrafted charm. 26.35"W x 22.05"L. Intricately hand-painted quartet of birdhouses are perched on the fanciful, scrolled arms of the beautifully hand-painted center. Made of sturdy iron. Handcrafted printed wall art canvas. 2" deep exposed maple sides add a natural accent that looks remarkable from any angle. Exposed natural wood grain complements imagery, handmade.